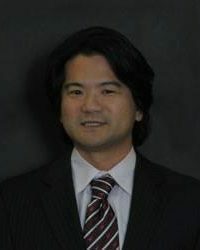 Richard Kwun is a bankruptcy law attorney, serving most of Northern California. His clients come to him in a time of need. They often feel as if they shouldn’t be in the situation they are in, as if they should be ashamed that they are having legal and financial difficulties. Bankruptcy isn’t the last stop, it’s the first step towards financial restoration. Richard is ready to show you that you can start over, and will be with you every step of the way. Originally from Southern California where he was born and raised, Richard Kwun is a thirteen year resident of Sacramento. Richard began practicing law with some of Sacramento’s most seasoned bankruptcy attorneys. In addition to his law degree, Richard obtained a Bachelors in Biology from UC Santa Barbara. Richard is a seasoned bankruptcy law attorney, representing debtors in Chapter 7 and 13 bankruptcies. He is also registered before the Patent and Trademark Office as a Patent Attorney. Richard has also taken creditor side work in order to represent debtor clients more effectively. He also served as a former Managing Attorney for a large national firm. Preferring the one-on-one approach, Richard prides himself on being readily accessible to his clients. Throughout all his cases, Richard has always maintains the credibility that made clients hire him. Richard’s goal is to provide candid advice so that clients know what to expect and will process your case efficiently. 12 years since Richard Kwun was first licensed to practice law.